« Problems with Gig Announcements? Be sure that you are logged into Facebook as the owner of the Facebook Page you want to list your Gigs on. 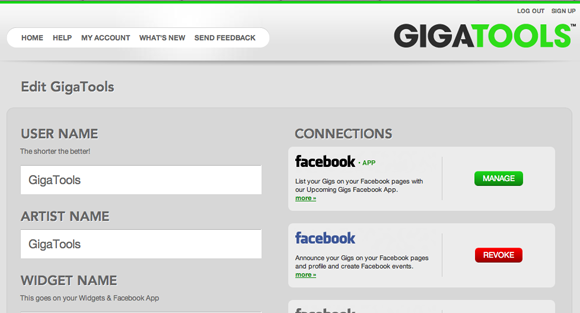 Log into GigaTools and hit EDIT USER or EDIT GROUP for the User or Group whose Gigs you want to list. 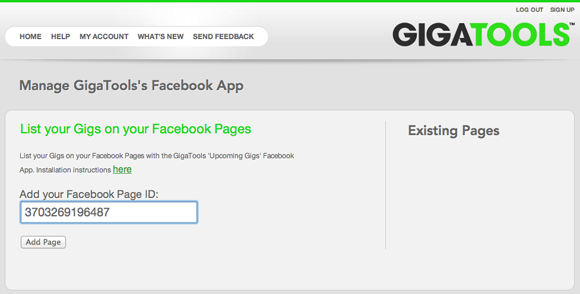 Clicking that link will take you to Facebook and present you with a dialog box asking if you want to install the GigaTools Upcoming Gigs App on your Facebook Page. Be sure to choose the correct Facebook page if you have more than one. Click the blue ‘Add Upcoming Gigs’ link. 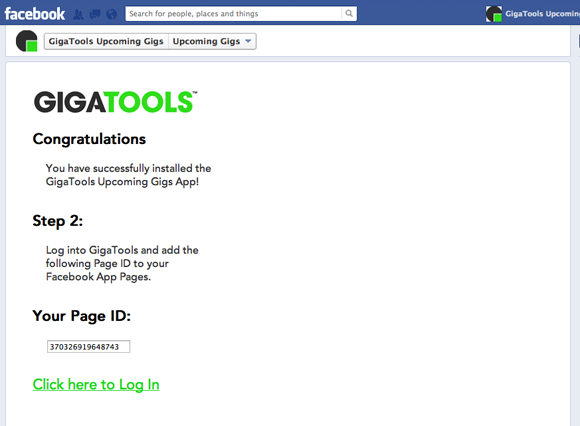 After doing this you should be returned to the GigaTools site to complete the installation. If you have more than one User or Group you will be asked to choose which User or Group you want to install the App on. 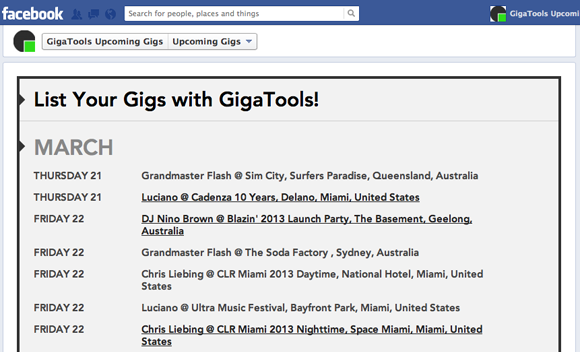 Hit Save and then refresh your GIGS tab on Facebook and you should see your Upcoming Gigs listing! This entry was posted on Saturday, July 19th, 2014 at 6:50 pm and is filed under Help, News. You can follow any responses to this entry through the RSS 2.0 feed. Both comments and pings are currently closed.